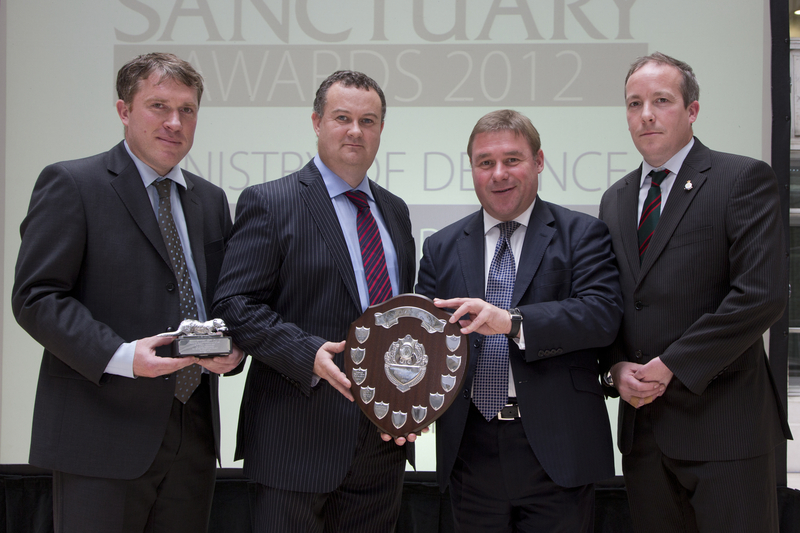 Operation Nightingale, the innovative rehabilitation project using archaeological fieldwork to help the recovery of soldiers wounded in Afghanistan, has added two more prizes to its trophy cabinet, after their success at the MOD’s Sanctuary Awards. Having already won the Project of Special Merit award at this year’s British Archaeological Awards, Operation Nightingale yesterday took first place in the Heritage Projects category, as well as winning the Silver Otter trophy, awarded to the overall Sanctuary winner. The Sanctuary Awards aim to recognise and encourage initiatives that benefit wildlife, archaeology, environmental improvement or community awareness of conservation on MOD property. Over the last year Operation Nightingale have excavated prehistoric archaeology at Chisenbury Midden (CA 265), Roman remains at Caerwent (CA 267), and most recently, the Anglo-Saxon burial ground at Barrow Clump (CA 270).